Interested in everything, a dabbler in most, expert in none. Today the twins turned three. Of course, we had cake. 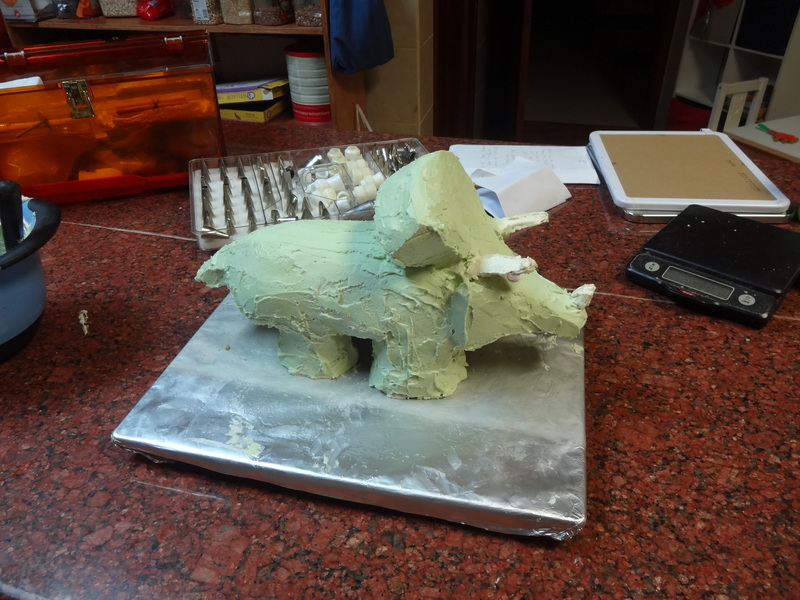 My wife came up with the idea of a triceratops cake, for the obvious reason. 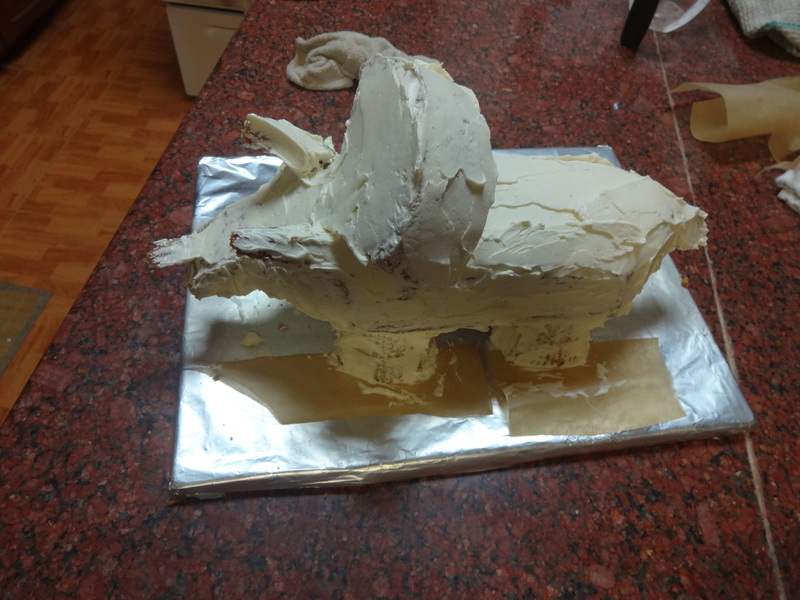 She also suggested a stegosaurus, because the plates could be triangular, but I passed…one dinosaur is more than enough cake for one family. This is one-and-a-half recipe of a basic 1-2-3-4 cake, baked in loaf pan, a 6-inch round, and 18 cupcakes. I used four cupcakes (cut in half, stacked) for the legs. The body is the loaf, and the entire head assembly is most of the round. 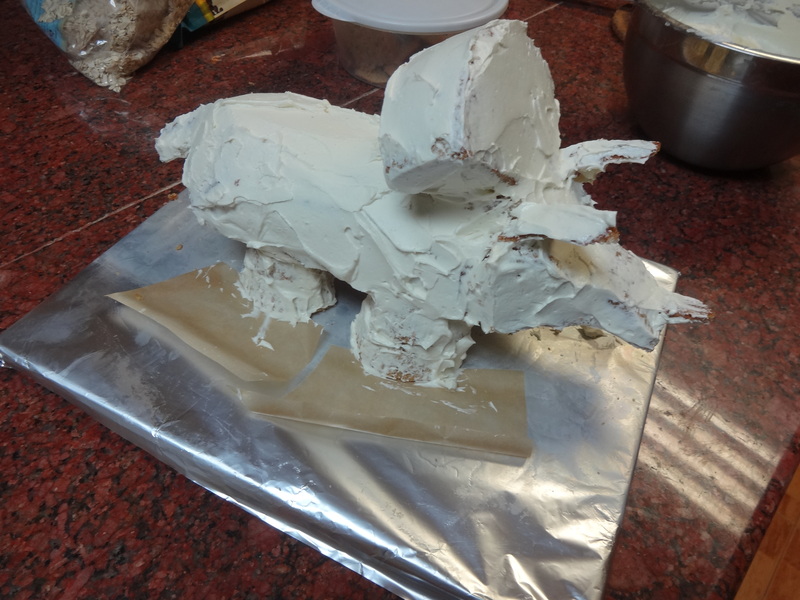 Usually, when I do sculpted cakes I try to avoid using non-food supports, or any support at all. 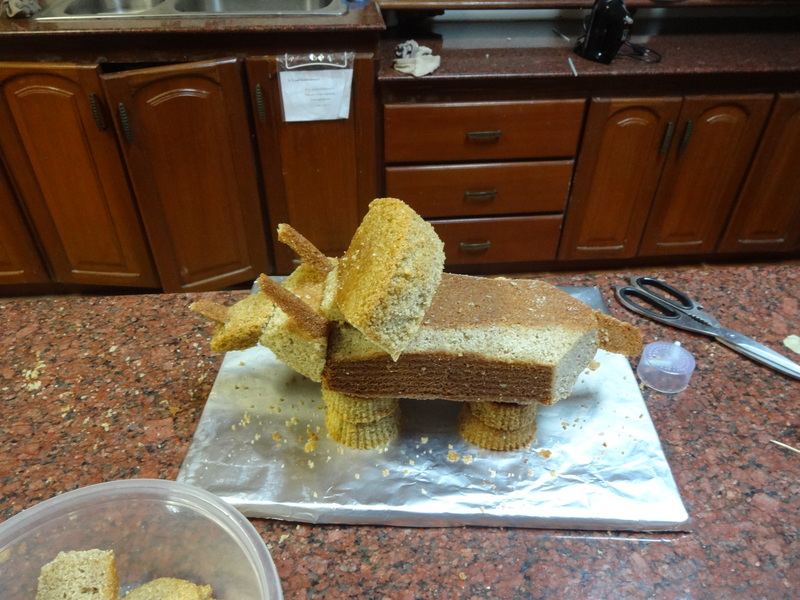 I broke down and used toothpicks this time. I just couldn’t figure out how to get the snout to stay in place without using anything. 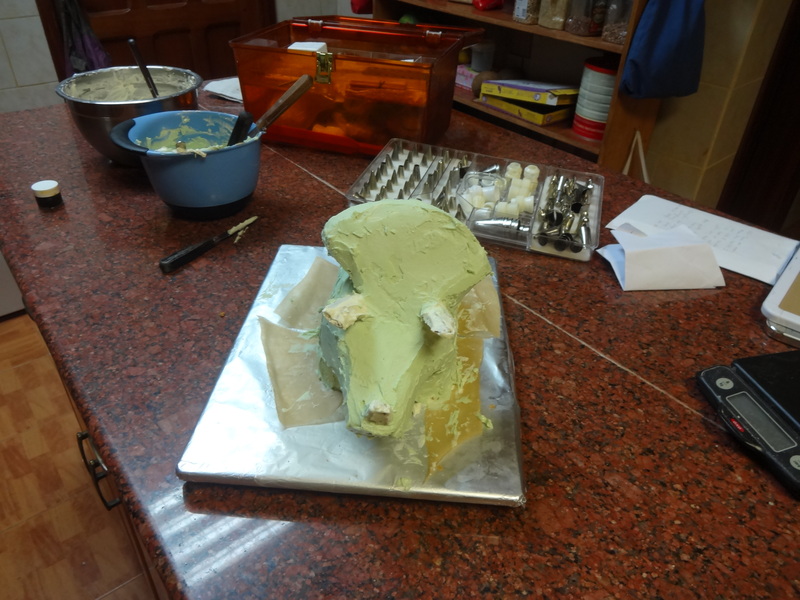 The icing is ermine or flour buttercream. I used my grandma’s decorating tools. None of the tips came into play, but her variety of small and offset spatulas came in handy. I used natural food coloring, actually made to color chocolate, to get the color. That’s why it’s a bit more pastel than you might otherwise expect. I broke all sorts of “rules” with this. 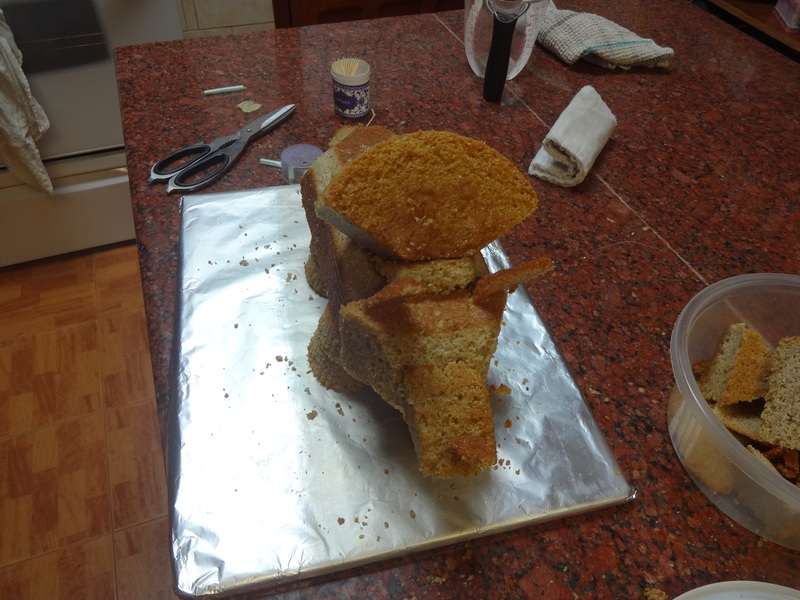 The crumb coat is really rather thick, but it helped round the body out so I left it. 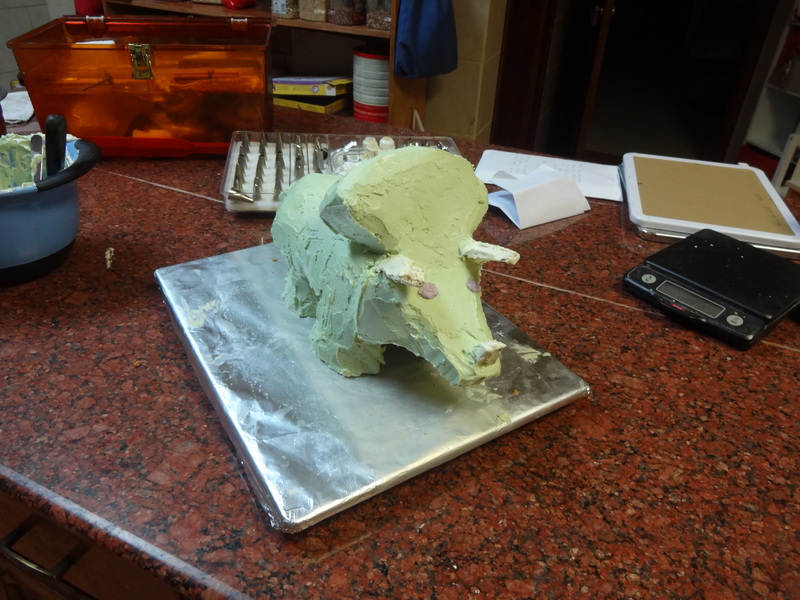 The colored layer is not perfectly smooth, but it was getting late and I kept on pulling off too much icing. 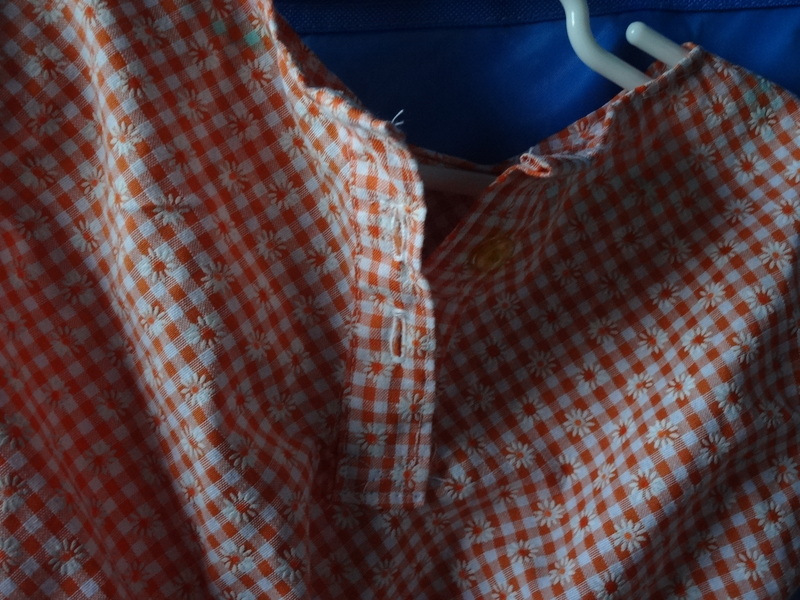 So, it’s definitely a homemade look. 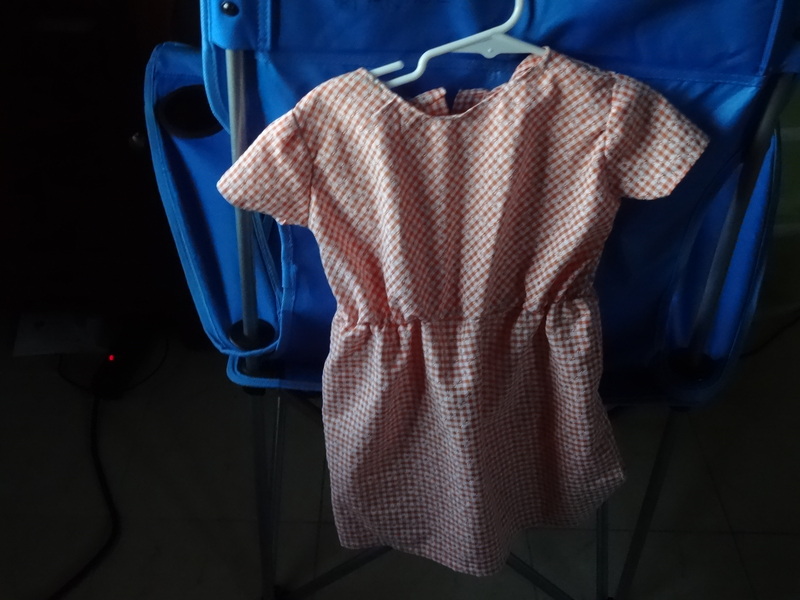 I also sewed a couple of dresses for the girls. 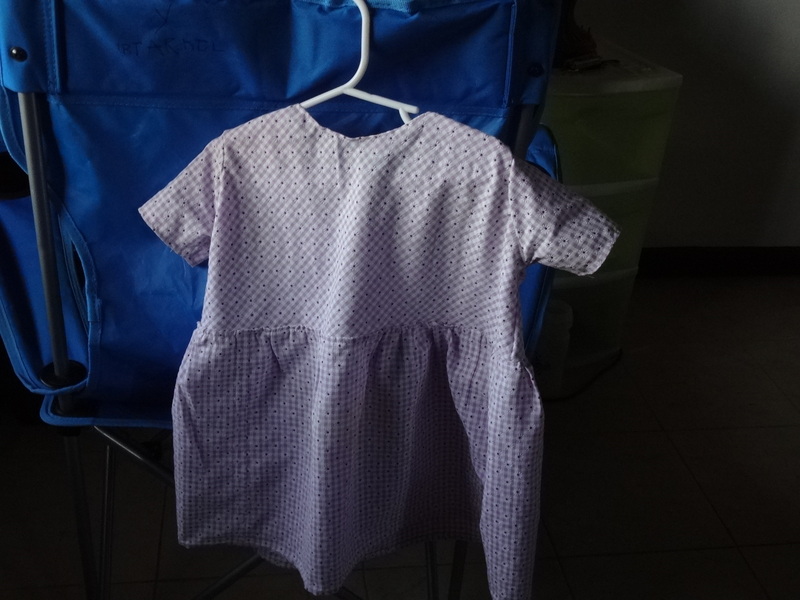 The purple one could probably use some elastic in the waist, like the orange one.